Sales were up by 27% in the first quarter. Hirsch already experiences an upward trend, the turnaround is expected in 2011. After weeks of negotiations between AE&E's creditor and the banks, no continuation is possible. Talks ended without reaching an agreement. 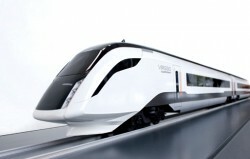 The Thai BTSC has placed an order at Siemens for 35 additional intermediate cars for the city rail system. Works in Bangkok start in 2012.. 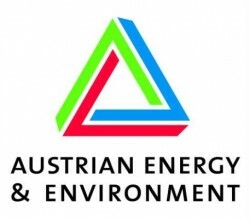 The staff of A-Tec's subsidiary AE&E (Austrian Energy & Environment) call on the negotiators in the restructuring process to ensure continuity. STRABAG SE increases its stake in h s energieanlagen Austria from 43 percent to 100 percent in order to enlarge fluidised bed technology for energy production. The Kreditorenschutzverband (KSV, Creditors Protection Association) has confirmed that negotiations have failed. The Styrian AE&E is to be sold. 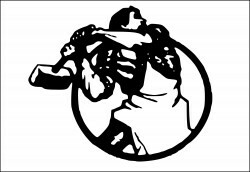 The Porr Group’s development against the background of the economic crisis is relatively stable. The CEE region is still below expectations. A consortium led by Austria's Strabag has won a contract to build a Romanian motorway for 220.6 million euro. The process of consolidation at the Frauenthal Group continued according to schedule in the third quarter: revenues increased by 17.8%. 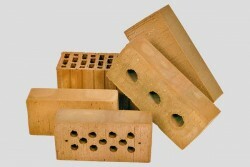 The building company expects its output volume in 2011 to amount to € 13.5bn, the EBIT in 2011 is estimated to account for € 295m. Just as previously, construction prices continue rising in Austria. There is no end in sight for the upwards trend. Technology Group ANDRITZ showed a favorable business development in the first three quarters of 2010. Sales, earnings and profitability rose substantially. Deripaska´s Rasperia repurchases 17 percent of STRABAG. In addition, Strabag acquires a 26 % stake in Russian construction company and signs a € 350 million contract. Austria's export sector and the manufacturing industry will benefit in particular from the strong economy situation in Germany. The labor market continues being animated, particularly manufacturing industry-related areas. While there is a strong demand, there are few offers for investment properties in Vienna. The market turnover drops dramatically. 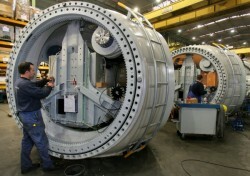 Wienerberger AG recorded a 7% year-on-year increase in operating EBITDA to € 82.2 million for the third quarter of 2010. However, analysts expected even more. Damages for 2 billion euro (2.8 billion dollars) are said to be the result of forming a construction cartel for motorway construction in Slovenia. Haselsteiner reacts sharply to criticism of the construction of the Koralm tunnel. He sees the infrastructure measure as economically sensible. The purchase of the remaining 25% stake in Semmelrock International has been announced today. Wienerberger regards the acquisition as a “logical step”. The controversial project will be built by the construction group Strabag. 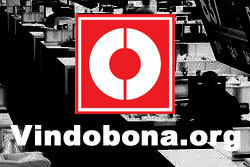 The total investment amounts to around 600 million euro. CEO Kovats is trying to rehabilitate his insolvent company with the help of creditors. The German Gaul-group, a regional market leader for construction materials, has been bought by STRABAG for strategic reasons. A project in Australia is currently bringing A-Tec financial problems. A new project, however, offers prospects of success. Strabag SE, a large construction company in Central and Eastern Europe, signed an agreement to build a new bridge complex in Toruń, Poland. The building materials industry is still growing very slowly in Eastern Europe. Focus is now on innovation and the expansion of market shares. Strabag SE has concluded the renewal of a syndicated surety loan (SynLoan) with a consortium of 17 international banks led by Deutsche Bank and Raiffeisen Bank International (RBI). The refractories manufacturer RHI wants to continue growing, and will need between 400 and 500 million euro for its expansion plans, the new boss of the group, Henning Jensen, said at the "Q-Check" experts forum. The construction company from Salzburg is to build an 18-kilometer motorway section for almost 140 million euro. The acquisition of 100% of ECM Facility a.s., Prague garantes the number 5 position in property & facility management in the the Czech Republic. AE & E’s CFO, Juergen Brandt, will be CFO of the Swiss industrial group Sulzer. 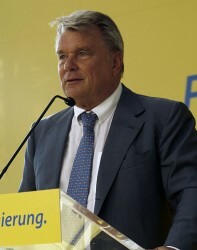 Jürgen Boggild moves to the Board. Today, Statistik Austria announced that construction prices rose 3.4 percent compared to August 2009. The local motorway operator Asfinag picked up 1.3 billion euro on the capital market. Strabag SE in 2009 remained by far the largest construction company in Austria. At the Board meeting next Thursday the new head of the construction at “Porr” could be decided. The massive railway expansion in the first quarter prevents an even greater decline. Implenia, the largest Swiss construction company, always on the seeker-list from Strabag boss Hans-Peter Haselsteiner, is suddenly announcing intentions to sell.